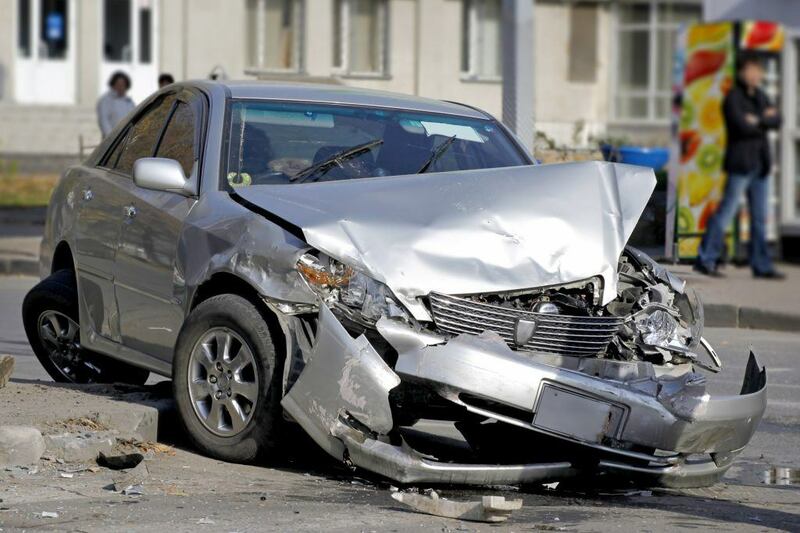 Osteoporosis can increase the risk of fracture in auto accidents. Some doctors feel that the osteoporosis increases the likelihood of fractures. Osteoporosis occurs when more bone is lost than is rebuilt. The process of turning over new bone is what keeps bones strong. Women after menopause are most likely to have an imbalance between bone addition and bone loss so that their bones become thin and they develop osteoporosis. Fractures can occur spontaneously, after a fall or after a trauma such as a motor vehicle accident. Osteoporosis makes the bone look like a honeycomb so that the holes in the trabecular bone become larger. The bone itself has less strength, and the risk of fracture is greater. Because osteoporosis is a completely silent disease, it doesn’t show itself until a fracture occurs, often in a minor car accident. Osteoporosis can be considered a serious condition. It can result in milder chronic pain from painful bones. It can also result in severe pain when the trauma of a fall or a motor vehicle accident causes a serious fracture. Risk factors for osteoporosis and fractures from the disease are low body weight, aging, being female, smoking, being post-menopausal and taking certain medications. Because of the very real risk of fracture during car accidents and other events, it is recommended that osteoporosis victims begin taking calcium and vitamin D as soon as they know the bones are thinning. Regular exercise also makes a difference in strengthening the bones. Certain osteoporosis medications can be taken to increase bone density. Some patients experience a loss of height due to vertebral fractures, chronic mid back pain and curvature of the spine called kyphosis. There can be a generalized pain as well due to osteopenia or thin bones all over the body. Doctors will evaluate the suspected patient for osteoporosis by doing bone density readings of the hand, back, and hip area. If there is osteopenia or osteoporosis, then medications can be started along with the lifestyle changes as mentioned above. The main complications of osteoporosis are fractures that occur with even minor trauma and pain from the dorsal kyphosis of the back. The dorsal kyphosis cannot be returned to normal, but further kyphosis can be prevented with medications and lifestyle changes. In one study of men and women with osteoporosis, the bone mineral density was evaluated in patients who had sustained a high impact trauma or a low impact trauma. The risk of getting a high trauma fracture was higher in those who had a low bone mineral density (BMD), and these were the same people who were at risk for getting a subsequent fracture due to any type of injury. This was mainly found in women with osteoporosis when compared to men with osteoporosis. Low impact fractures were also seen in women who had a low bone mineral density.